Secure an Obihiro vacation package on Expedia today! This is by far one of the easiest ways to save time and money for your incredible getaway. Reserve a travel package on Expedia and save as much as 40,450 YEN*. Look through our universal database of more than 400 partner airlines and 321,000 worldwide properties. Too many to pick from? Don't worry — we'll help you decide! You can delay your vacation plans with us because we do not charge cancellation fees for almost all of our reservations. Preparing for your trip to Obihiro? Looking for some tips about what to see when you arrive? That's where we can assist! Just wild about animals? Grunt, squeak and squawk to some of the most impressive of them at Obihiro Zoo. It's a fun day out for the entire family! Adventurers in this destination have a great range of options. Watch people rushing in and out of JICA Obihiro International Centre. This significant building is a hub of activity and innovative thinking. Still have some time on your hands? Leave the history books! Witness the past spring to life at Obihiro Centennial Memorial Hall. With around 15 properties on offer, you won't have any issues finding somewhere fantastic to stay. 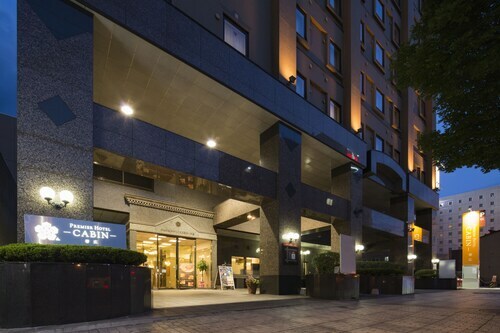 Book a bed for your luxury getaway or cheap vacation via Expedia and enjoy a good night's rest in Obihiro. Start your vacation on an extravagant note by sliding between the soft sheets at the Mori no Spa Resort Hokkaido Hotel (19-1 Nishi 7 Jominami). Alternatively, the HOTEL NUPKA - Hostel (20-3, W2-S10) is an excellent place for the budget-conscious traveler to get their forty winks. Tokachi - Obihiro Airport (OBO) is 13 miles (21 km) south of the heart of Obihiro. Collect your suitcase, slide into a taxi and get this vacation started! 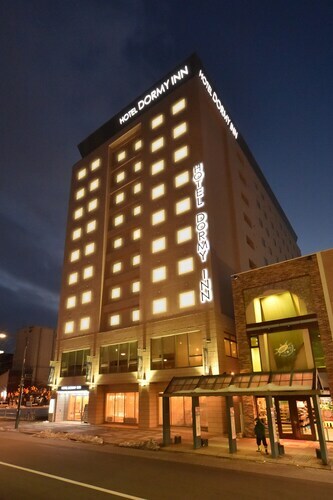 Located in the heart of Obihiro, this hotel is within a 15-minute walk of Kita no Yatai and Obihiro City Office. Obihiro Shrine and Obihiro Racecourse are also within 1 mi (2 km). 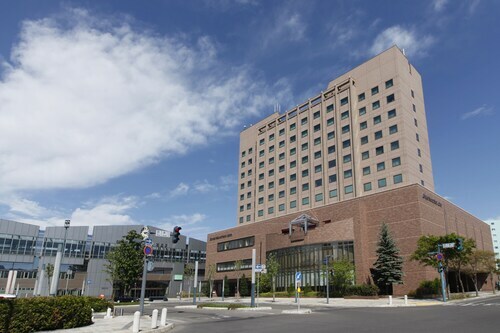 Located in the heart of Obihiro, this spa hotel is within 1 mi (2 km) of Obihiro Wild Flower Garden, Obihiro Centennial Memorial Hall, and Kita no Yatai. Obihiro City Office and Obihiro Zoo are also within 1 mi (2 km). 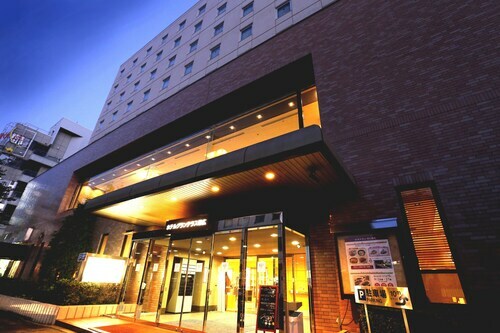 Located in the heart of Obihiro, this hotel is within a 10-minute walk of Obihiro City Office and Kita no Yatai. Obihiro Shrine and Obihiro Racecourse are also within 1 mi (2 km). 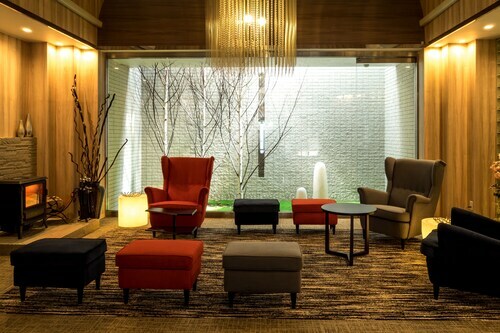 Located in the heart of Obihiro, this spa hotel is within a 15-minute walk of Kita no Yatai and Obihiro City Office. Obihiro Shrine and Obihiro Racecourse are also within 1 mi (2 km). 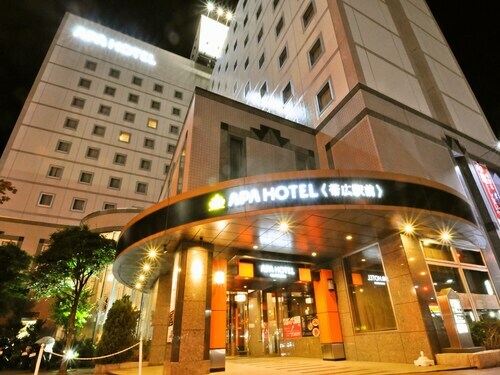 Situated in Obihiro, this hotel is within a 10-minute walk of Kita no Yatai and Obihiro City Office. Obihiro Shrine and Obihiro Racecourse are also within 1 mi (2 km). 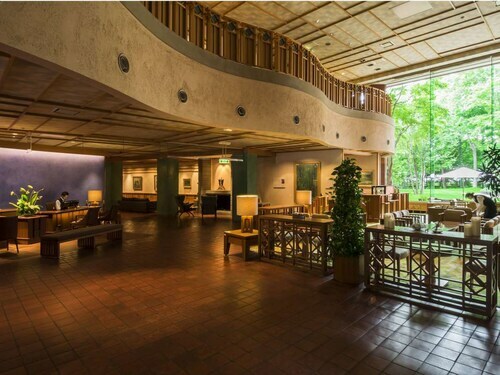 Situated on a river, this spa ryokan is within a 15-minute walk of Tokachigawa Onsen and Hokkaido Tokachi Ecology Park. Obihiro Shrine and Kita no Yatai are also within 6 mi (10 km). 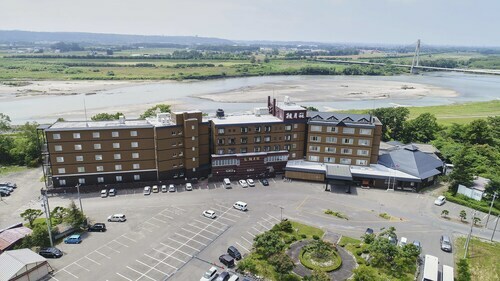 Situated in Obihiro, this hotel is within a 15-minute walk of Kita no Yatai and Obihiro City Office. Obihiro Racecourse and Obihiro Wild Flower Garden are also within 1 mi (2 km).